Take The Big I-105 With You… Download the Free App! We’ve made it even easier to listen live to I-105. Actually, it’s more than that, with our new Apps, you can see lyrics as the songs play, get artist and album information, buy songs, and access exclusive I-105 content. 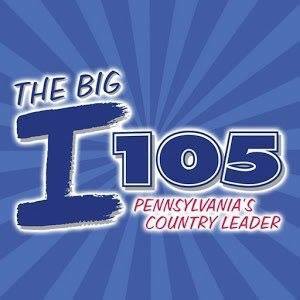 It’s Pennsylvania’s Country Leader… all on your smartphone or tablet! It’s simple and it’s FREE.